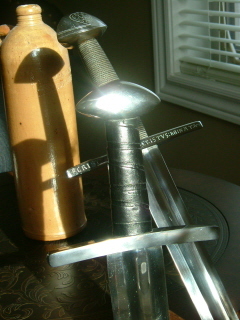 Brazil nut pommels on swords are among my favorite! I grouped all mine up today and thought it might be fun to share a photo. I'd love to see pics of any others that are out there! Nice photo Tim! 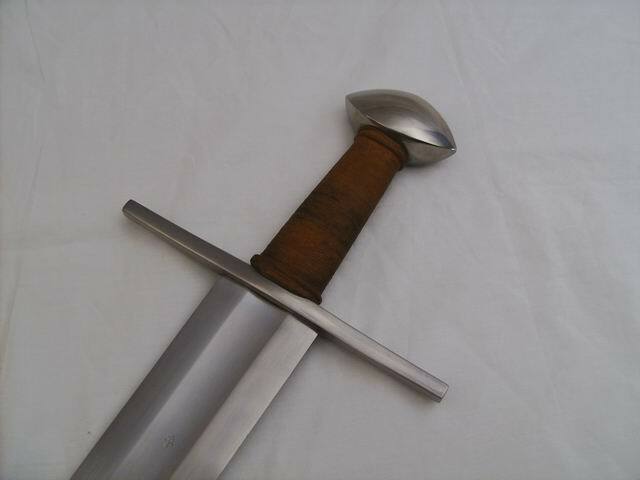 I too like the brazil nut pommel, although I don't own any European swords at the moment. Would you mind identifying these swords? Some are familiar, but some (like 2nd from the right) look like composites of swords I know. Is it a custom job? That custom A&A looks even better surrounded by its brothers. Nice picture. Very nice looking indeed Tim. I just realized we are in the same area. That is definitely a nice looking collection of brazil nut swords. A&A custom type X based on one in "Swords of the Viking Age"
Nice picture, I like seeing all the different variations of the brazil nut pommel. My Del Tin 2130 St. Maurice. Would that be the sword from the Anglo-Saxon manuscript pictured on p77 of 'Records'? Very cool. Sorry, I have but one Brazil nut pommel in my collection, and it's not in the league of your examples. I intend to correct this unacceptable situation over the next couple of years. I agree with your taste Tim. Those stud-like 'pips' would take away from the unique and simple beauty of the design. Also, I see you opted out of the the slight guard curvature on the other A&A custom job, if that is the Ulfbert sword I am thinking of. 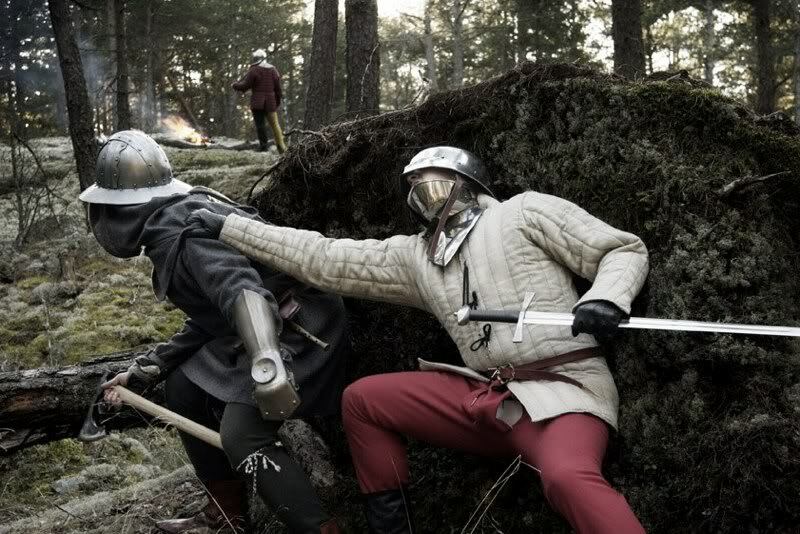 (I thought it was a Reeve at first glance). Peirce glows about the curve, but I find it to be too little or too much. 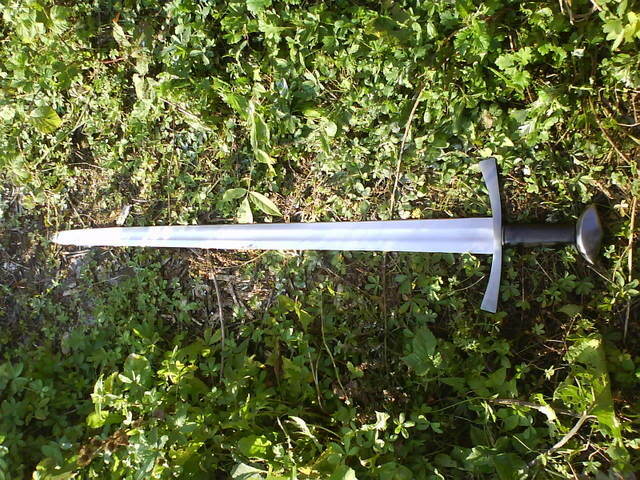 I also have a replica of that sword, but I am too humbled by your collection to mention the source. 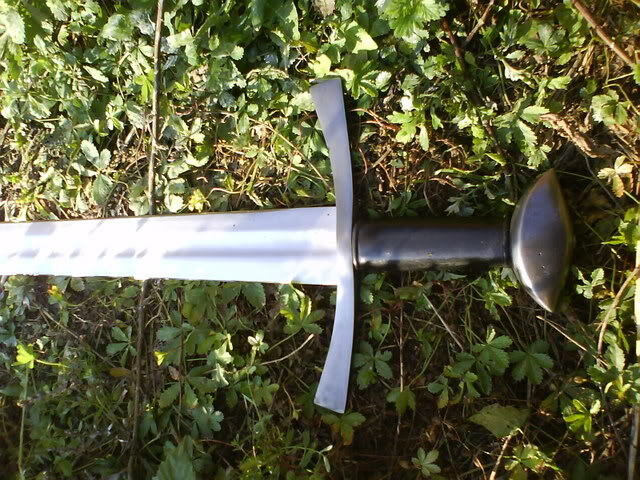 It is the Ulfberht sword and it does have a slight curve. You can't see it very well in this photo but it is actually very nice. Here's a link to my post I put up when it arrived. There are better pics. greetings to all Brazilnutters. Great Swords you have. Very slight, and much more elegant than the clunky guard on the Windlass replica. Brazil nut pommel love, here´s the Reeve. Ahh, the Reeve. Sooo pretty! The Del Tin St. Maurice swords look good too!!! !